400 sq ft. Command Center. 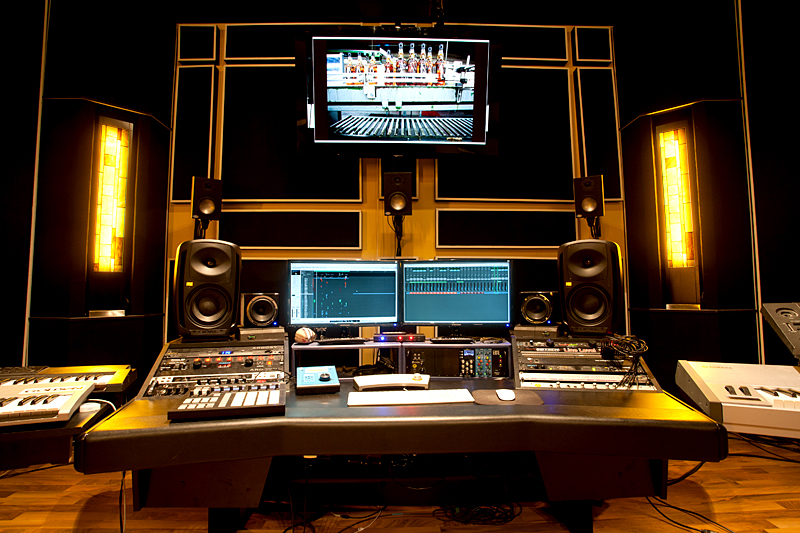 The room offers the ability to mix music and 5.1 surround feature films. Capitalize on creativity. With sophisticated aesthetic and lighting to coax the creative mood, you'll be working productively in no time. 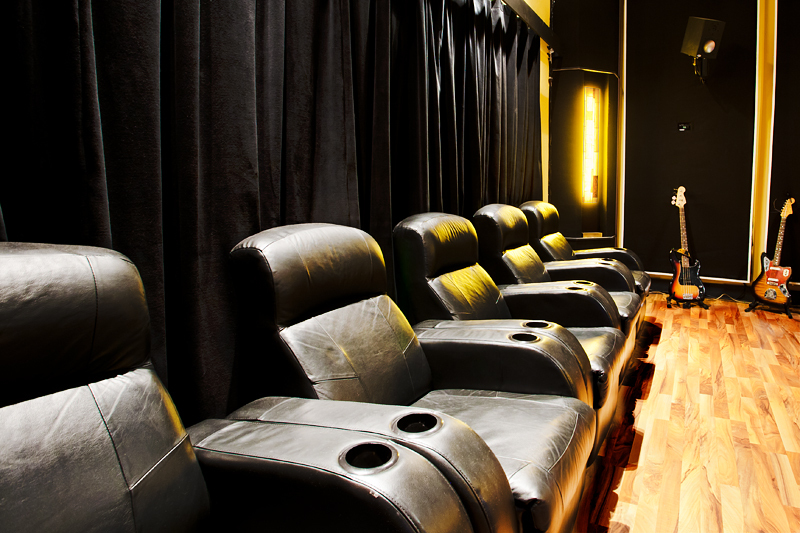 Theater Seating. Comfort is key. Sit back, relax and get to work. Whether that means auditioning voice-over takes to find the perfect one or surfing through hundreds of software instruments, you'll be able to do it comfortably. 32 sq ft. Iso Booth. From Emcees spitting their flow and jazz vocalists scatting to quiet poetry readings and cheesiest of movie trailer VO, this booth is utilized for a wide range of vocal needs. It has also been optimized for post needs such as foley and sound effects recording. It has undergone intensive acoustical treating which enables us to capture high fidelity audio, so even the subtlest of sound can be captured easily.